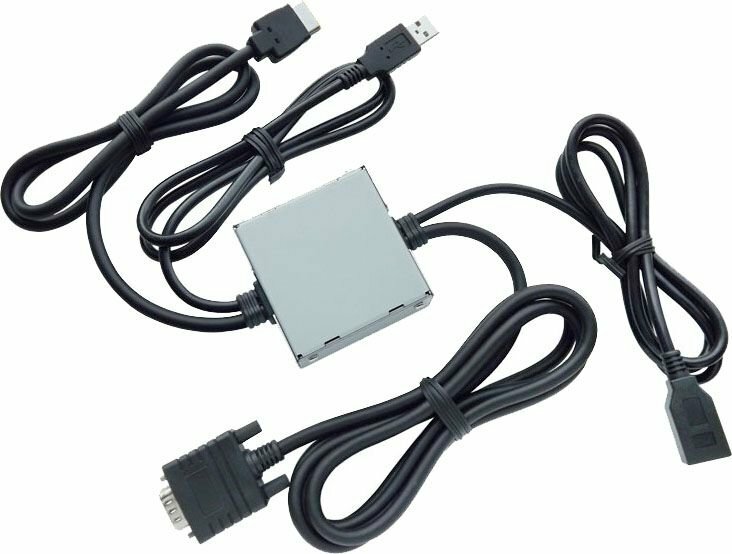 The CD-IV202AV cable kit for select multimedia DVD receivers uses a VGA solution to gain compatibility with iPhone® 5. The kit includes a proprietary connector cable and interface module to accomplish audio and video transfer and a 1.5-meter USB cable for charging an iPhone 5. When used with a compatible Pioneer in-dash receiver and an appropriate Apple Lightning adapter accessory, the CD-IV202AV cable kit enables iPhone 5 users to access and control select iPhone 5 apps via AppRadio Mode (formerly known as Advanced App Mode) as well as play and control music and videos stored on the iPhone 5...all on the receiver's touchscreen display.